Lisburn's Paula Grant was thrilled to be named alongside Royal County Down Ladies' Olivia Mehaffey in the eight-strong Great Britain and Ireland side to face the United States in June's Curtis Cup. GB&I will defend the trophy at Quaker Ridge in New York from June 8-10 with reigning Irish Women’s Close champion Grant (24) one of six new caps and Lurgan’s Annabel Wilson, who has been busy preparing for exams, the non-travelling reserve. "It's a nice reward for all the hard work I have been putting in," said Grant, who has won two Irish Close titles and last month represented Europe against Asia-Pacific in the Patsy Hankins Trophy. "I've seen all my friends play in it and with Leona (Maguire), Olivia and Maria (Dunne) doing so well last time, I thought, 'Why not me?'" With Dunne retiring from international golf and Leona Maguire unavailable as she prepares to turn professional at the end of next month, Arizona State star Mehaffey and England’s Alice Hewson are the only survivors from the side that won 11.5-8.5 at Dun Laoghaire two years ago. The GB&I team includes 16-year-old Lily May Humphreys, who won the Scottish Women's Open for the Helen Holm Trophy at Royal Troon last week but her England team-mate Isobel Wardle has decided to focus on her school exams. 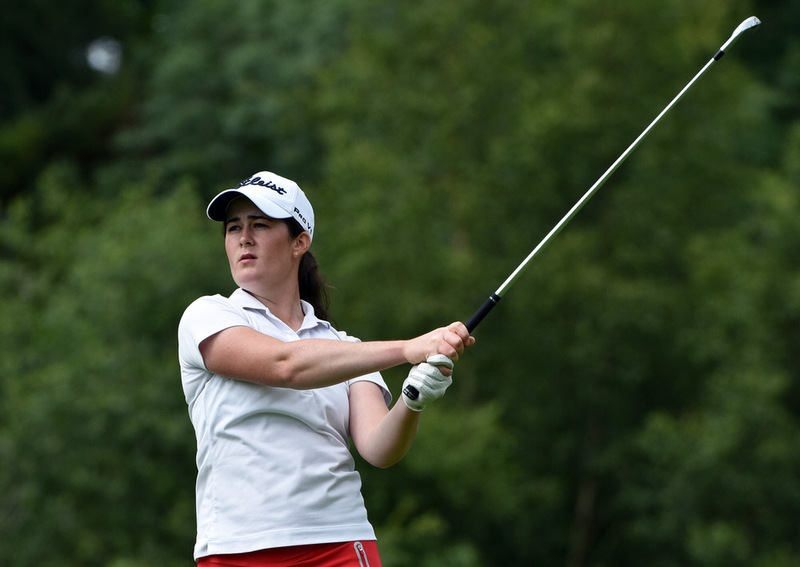 Olivia Mehaffey (20, Royal County Down Ladies, Ireland). Non-travelling reserve: Annabel Wilson (17, Lurgan, Ireland).